This is the fourth in a series of blog posts exploring the impact of Smart Certification on the financial inclusion industry. Since launching Smart Certification in 2013, we’ve witnessed rapid changes in the financial inclusion space driven by digitization of financial services and fragmentation of traditional business models. Nearly $100 billion in investment has flown into the global fintech market since 2010, creating an explosion of digital innovations and provider models. Our analysis of the Global Findex data shows that recent gains in inclusion have been largely driven by the rise of mobile money and digital payments. Digital financial technology is central to making financial products more accessible to underserved people around the world. This is an exciting moment for digital finance, and an equally important for time for client protection. The industry has the opportunity to marry the client-centric approach embraced by so many fintechs and the industry-accepted consumer protection standards to develop quality products, build trust, and encourage usage. The Smart Campaign will leverage its experience to help lead the charge on this. As we celebrate 100 Smart Certifications, we look forward to the next 100. Looking to the future requires defining responsible practices and standards given the technological advances that allow nearly instant access to credit, payments, savings, and insurance. The standards and the certification program must become more agile, mirroring the fast pace of change. We envision an adaptable approach that takes into consideration the product and client delivery mechanism, as well as the provider’s function in the value chain. The flexibility of this framework could eventually allow any type of provider to seek certification, but the process will begin with a focus on digital lenders and expand to encompass additional business models on a demand-driven basis. Let’s take a look at credit products to see how both access and the customer experience are changing. Just a few years ago, when a client sought a loan from a financial service provider, the provider would be responsible for all of the functions needed to deliver that loan, starting with design and pricing of credit products, to the determination of creditworthiness, disbursement, collection, and continuing customer service. The model relied heavily on in-person client interactions. Today, a client can take out a micro-loan with a few clicks on a phone, without any human interaction, and without knowing what companies – other than the one they are interfacing with – are involved in making the transaction possible. In some cases, the provider may rely on another company to handle key functions, such as assessing creditworthiness or loan underwriting. As the Smart Campaign identified in Tiny Loans, Big Questions, new models present new potential consumer risks. Mobile loans may unintentionally encourage reckless borrowing due to their near instantaneous speed. And when there are multiple firms involved in the value chain, there can be a lack of clarity over which company is responsible for addressing client complaints. By no means are these the only risks, but a closer look at new lending models in the digital age illustrates that client protection is as important as ever. The Smart Campaign is conducting targeted research with digital financial service providers to adapt Smart standards in light of the new business models. Before launching Smart Certification five years ago, we collaborated closely with the industry to understand the risks and develop consensus about benchmarks for client protection. We’re replicating this process with digital finance providers, and our engagement with the Fintech Protects Community of Practice will similarly incorporate the industry perspective into more adaptive client protection guidelines and standards. We have already had a chance to confirm that the Client Protection Principles continue to offer a relevant framework for Smart Certification, whether working with fintechs or MFIs. Consumers have the same interest in transparency, prevention of over-indebtedness, and availability of complaint resolution for a digital provider as they would have for a credit union. 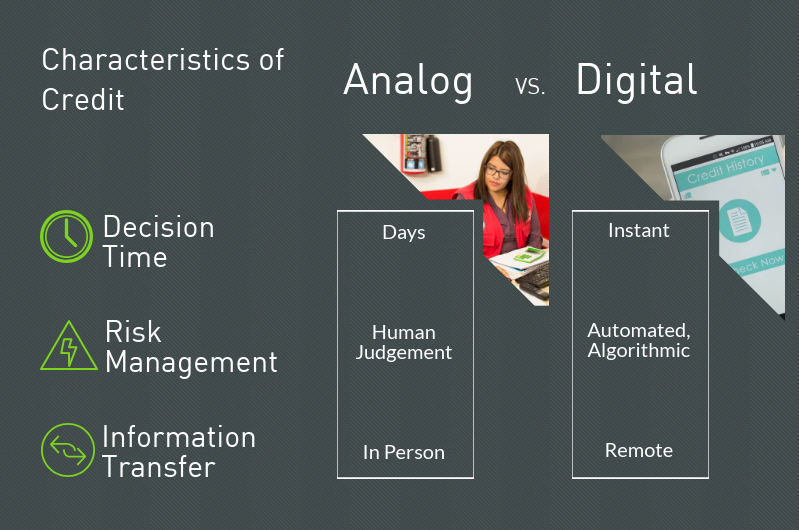 Yet, best practices and benchmarks for digital services will differ, just as their product details and client interactions differ from analog financial services. Many fintechs already adopt a client-centric approach in their business models, but as we’ve seen from working with socially-driven financial institutions over the years, formalizing client protection practices in an organization’s business operations cements trust between a provider and its customers, and can lead to higher retention and more sustainable portfolios. The path for building trust in this evolving financial services ecosystem is collaborating with digital providers to determine appropriate standards and best practices that protect clients while enabling the industry’s growth. The Smart Campaign invites more of this collaboration with providers as we work together to extend the impact of digital financial services for financial inclusion.